Every November our city comes together for Light Up Louisville to celebrate the start of the Holiday season in our city. 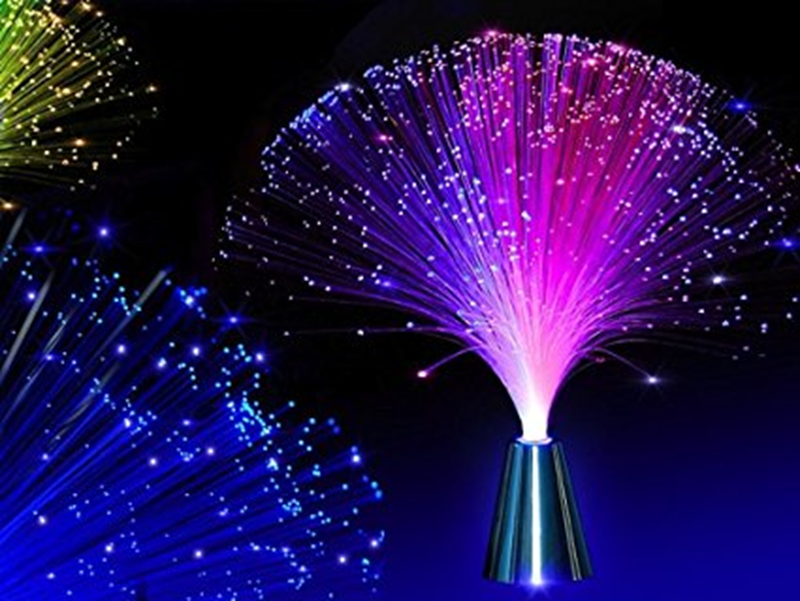 This year, we have a new way to light up Louisville, with fiber optic cable. Mayor Fischer took a big step in preparing our community for the 21st century economy by including more than 90 miles of municipal fiber in his proposed Fiscal Year 2018 budget. The City of Louisville installed its first fiber networks in the mid 1990’s, and did so on a small scale between a few downtown buildings. Over the past two decades, the fiber network has grown to around 21 miles in total length and it connects over 50 city-owned buildings. While it has served the city well by providing connectivity to our employees for phones and internet access, until recently, it had not done much else. That is about to change. In the past three years, the city decided to take our fiber connected sites to another level. We deployed free public WiFi in over two dozen community centers, parks, and heavily visited locations like City Hall. We also expanded our fiber network into new areas, like the Newburg neighborhood, clearly outside of our normal downtown footprint. While those investments provided good returns on investment both in cost-savings and capability-building, our ability to do these projects at scale was largely limited to those areas that already have fiber nearby that we could connect into. Our proposed build in the Mayor’s Fiscal Year 2018 budget will dramatically expand our current fiber network and capabilities. It will lay 96.5 miles of fiber-optic cable, the standard in internet infrastructure, throughout the Louisville Metro area. The build will run from downtown to the county border along major state corridors: Taylorsville Road, Westport Road, Hurstbourne Lane, Preston Highway, Dixie Highway, West Broadway and 22nd Street. Kentucky Wired, the state fiber build we are partnering with, is adding thousands of miles to Kentucky, and similar to Louisville, the goal is to connect government buildings to the network, and expand the fiber footprint to draw additional private investment in the internet market throughout the Commonwealth. Our partnership with Kentucky Wired allows us to purchase the fiber at extremely low cost. This once-in-a-lifetime partnership with the state that will save us over $10 million in installation costs versus doing it ourselves, and will provide us with a large piece of the internet infrastructure (middle-mile) our community needs to compete in the digital economy. The build will allow Metro Government to recoup over $700,000 in annual cost savings for at least 35 and up to 50 government owned facilities that will no longer need commercial internet service plans. We expect this investment to pay for itself in about 5 years, and that is without considering the potential revenue generating opportunities. Because Metro’s internal use will not consume all of the capacity of the fiber being installed, we will also have the opportunity to lease the excess dark fiber to cellular and internet service providers that desperately need more access to fiber in our community to deliver their services to citizens. We will take an open access approach to letting others lease or swap fiber with the city in exchange for fiber in other areas or services that they can provide to the city. We are also working to leverage our new fiber backbone to enhance city services through Smart City Initiatives. What services might we provide? We expect that residents and visitors will see more community WiFi hotspots; connected traffic signals to reduce congestion (and, in the future, work with autonomous vehicles); and sensors can be deployed to help monitor and improve public safety, air quality, and transportation. All of the sensors and gadgets that will collect information about our community, and thus empower our residents and government employees to make better decisions, need this connectivity. And, by putting in the fiber ourselves, we save the recurring costs associated with these services, such as cellular data plans and internet service plans. Essentially, this fiber install will allow us to provide better, more robust services to our residents and visitors without expensive monthly bill. We are also adding fiber in west Louisville neighborhoods like California, Russell, Chickasaw, Shawnee, and Portland. These neighborhoods are fiber deserts that have not seen enough investment in their internet infrastructure, which limits residents’ high-speed internet options. We also know there are service providers that want to provide services to parts of the city today where high speed internet is limited to one or no carriers, but they find the barriers to entering to the areas to be too much of a capital expense. That’s where we think we’re equipped to push the private sector into new areas with our proposed middle mile investment in west Louisville. If our budget request is passed, it will eliminate digital barriers to neighborhoods where residents want fast internet, and where carriers wanted to provide it, but could not afford the middle mile cost. Mayor Fischer’s proposed expansion of our fiber network is an investment in the future of our community. It will allow us to provide better city services, reduce the digital divide, and generate revenue for our government. And, all of this will be done at a reduced cost to taxpayers because of our award-winning collaboration with Kentucky Wired. It’s been a long journey to get here, but we cannot wait to see the results once the fiber is installed. Husband, dad, Civic Tech dude, ball coach. Opinions shared on this account are my own.